If you’re getting stiff from all that driving or the kids are just suffering from cabin fever from being in the car for so long, here is your perfect solution. 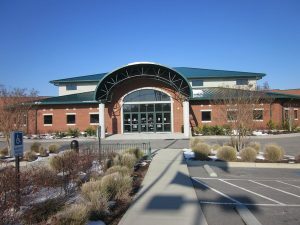 The City of Dillon’s Wellness Center is approximately half way between New York and Miami. Why not stop and workout the kinks of travel or walk off that lunch while enjoy their facility. You are welcome to use (for FREE) the 1/2 mile lighted outdoor walking path outside the complex , which is open 24/7 and dogs on a leash are always welcome. 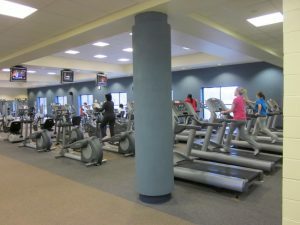 You can buy a day pass for a mere $5 to go inside and use the city of Dillon’s 40,000 sq ft indoor sport and fitness complex that includes state-of-the-art cardiovascular equipment, weight machines, a free weights room and an aerobics & dance room. At the indoor sports complex you can let the kids play basketball, volleyball, or compete in a game of ping pong. In addition they have a gym, dry sauna, locker rooms/showers, lounge, wireless internet, cable TV and trained staff. not Take a break and take advantage of this very inviting and clean gymnasium and fitness center. The City of Dillon’s Wellness Center is approximately half way between New York and Miami. Why not stop and workout the kinks of travel or walk off that lunch while enjoy their facility. In addition they have a gym, dry sauna, locker rooms/showers, lounge, wireless internet, cable TV and trained staff. Why not take a break from all the driving and take advantage of this very inviting and clean gymnasium and fitness center. 22 mySQL queries executed in 0.273 seconds.